NEWINGTON – Two very different Gary’s are vying for the House of Representatives’ 27th district seat. 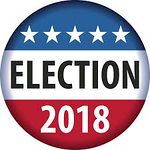 Republican incumbent Gary Byron hopes to begin a third term as State Representative, and his democratic opponent, newcomer Gary Turco, hopes his fresh optimism wins over voters. Byron, a Newington native and small business owner, is promising to vote against tax increases, build the state’s workforce and approach every issue objectively. Turco, a former state policy analyst, has pledged to address gaps in education, make smarter investments and support green initiatives. Byron advocates for strengthening education by better preparing students for jobs of the future. Turco wants to see focused-study programs be implemented at an earlier grade level. He worked to restore $2 million in state aid for education in Newington and co-sponsored a bill to prevent further reductions. Byron would like to keep CT residents here through retirement by not continuing to raise the cost of living. To address the state’s stagnant economic growth, Turco suggests a proactive rather than reactive approach, while also making services more cost-effective and doing more with less. The town’s voting districts are all within House District 27 with the exception of 5 and 8, in Districts 24 and 29. The 29th district is comprised of Rocky Hill and Wethersfield, with a few neighborhoods in Newington. Rocky Hill real estate agent Kerry Szeps Wood, a democrat, is vying for the 29th district seat against financial associate Andre Lanciotto. Both are new to the political arena. The 24th district consists of New Britain and the southernmost end of Newington. Rick Lopes has represented it since 2012 and is being challenged by Sharon Beloin-Saavedra, a former school board president and democrat running on the republican ticket. Also up for re-election is U.S. Senator Chris Murphy, who has served the 9th Senate District since 2013. His challenger is republican Matthew Corey, a Navy veteran from Enfield and small business owner. Longtime Senator Paul Doyle will be leaving the 9th State Senate District and two newcomers are running to fill the seat: Republican Ed Charamut of Rocky Hill and democrat Matt Lesser of Middletown. Posted in Newington Town Crier, Newington News on Thursday, 25 October 2018 09:07. Updated: Thursday, 25 October 2018 09:09.